You can’t even buy the Sony Xperia XZ2 Premium yet, but we may have just seen the first evidence of the Sony Xperia XZ3 Premium and it looks like it could have an 18:9 screen. That’s notable because so far Sony has stuck to 16:9 screens with sizeable bezels on its Xperia XZ Premium range, despite the Sony Xperia XZ2 making the move to 18:9, so it may mean Sony is changing the design in line with the XZ2. 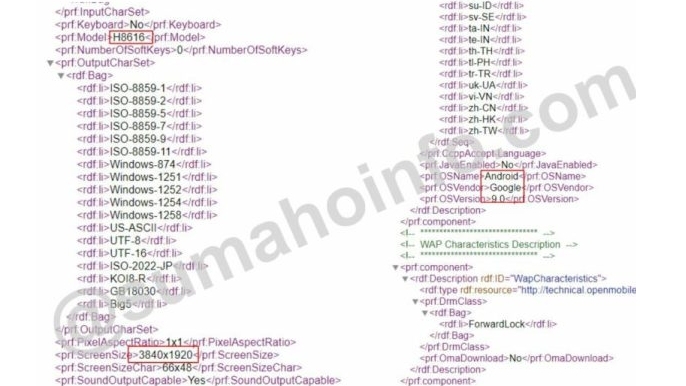 The evidence of an 18:9 screen comes from what appears to be a user agent profile listing obtained by Sumahoinfo, for a Sony phone with the model number H8616. So we don’t know for sure that it’s the Xperia XZ3 Premium, but there’s some evidence that it could be, as a phone believed to be the Sony Xperia XZ3 has the model number H8416. However, today’s leak also puts the resolution of the screen at 3840 x 1920, which, while higher than most Sony phones, would be lower than the Xperia XZ2 Premium, which seems odd. The only other information to be gleaned is a mention of the phone running Android P, which is less surprising, since that will probably have fully launched by the time the XZ3 Premium does. So if this information is real it might be the Xperia XZ3 Premium we’re seeing here, or it might be a different high-end Sony phone, but we’d definitely take the entire listing with a pinch of salt, especially as the source site itself seems to have some doubts, noting that the person who supplied the image to them wouldn’t provide a link to or information on where they found it.